Headwear is a must-have in any pinup girl's wardrobe, It's perfect for those days when you just can't be bothered with your hair but still want to look like you put some effort into yourself. 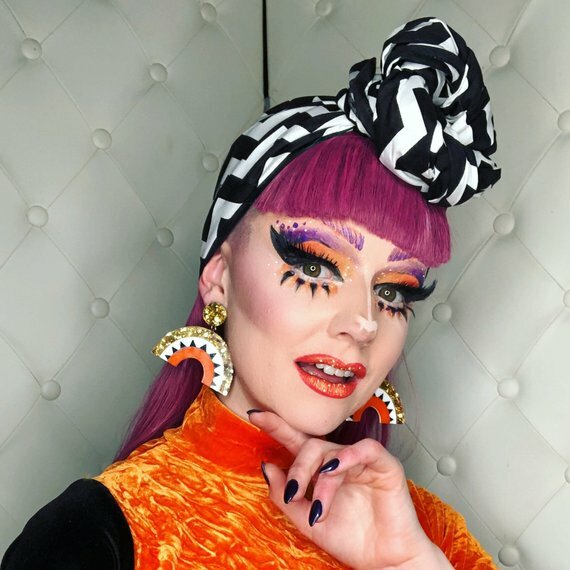 Finding good quality head wraps that are also stylish can prove to be a challenge: I did some research and found a shop called GLAMPORIUM owned by Australian burlesque Artist Ruby Slippers, who hand makes her them herself. Of all the things you could choose to design why did you choose hair pieces? "After working with performers and clients who come in all different shapes and sizes, it felt great to make something that could be worn by anyone of any size and in whatever style they like. There’s actually so little design in them that it allows the wearers to use it as a tool of their own self-expression... which sounds a bit artsy and wanky, but I know a lot of babes love to tie them on and feel more special and femme and “done”. It’s the easiest way to feel extra and glamorous and I feel lucky to see so many babes feel their fantasy." 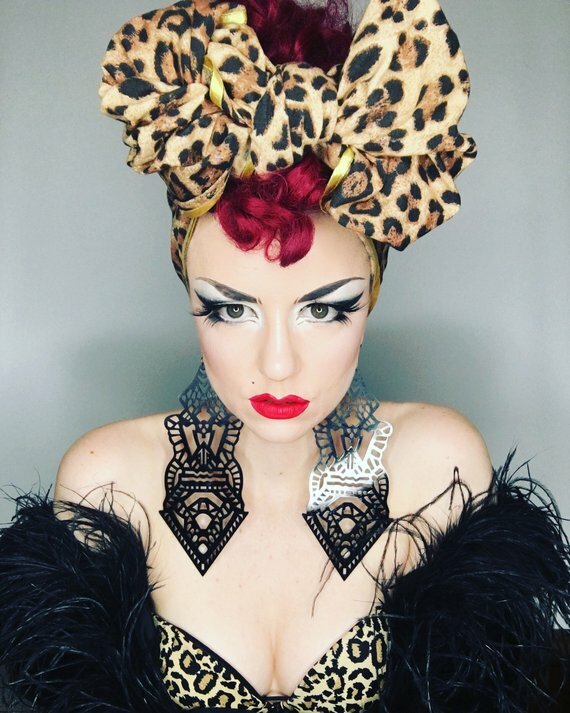 You’re also a burlesque artist, do you wear your hair pieces for any of your acts? "Sure do! It’s a nice break from a lace front wig sometimes. My fave to wear is the gold silk lamé because it’s so sculptural but so lightweight. And so gold. " What’s your current best-seller and why do you think that is? "It’s absolutely the leopard print burrito and that’s because leopard print is basically neutral and it goes with everything. Australian Spring/Summer is in full swing so some lighter brighter prints and plains will be emerging (and some classic dark styles for flamboyant goths like myself). And I think I’ll launch some clown collars and giant clutch purses that look like pencil cases because I like to keep my brand confusing." You can visit Ruby's shop here.